• Designed for quick dispersion in holding tanks and portable toilets. • Formaldehyde-free with long shelf life. • Perfect for special events and multiple services. • Effectively removes calcium deposits, restoring urinals to like-new conditions. • Simply spray on affected areas (Urinals, Floors) and brush away the buildup. Industrial strength cleaner/degreaser • Super concentrated breakthrough formula designed to remove heavy dirt, grime and grease. • Multi-dilution ratios eliminate the need for single purpose cleaning products. • Environmentally friendly and aluminum safe. Innovative Bravo urinal screens from Walex offer powerful deodorizing performance with strong fragrance release that lasts 30 days. The patented shape provides superior fit in all urinal styles with a ribbed surface designed to reduce splashing. 2 scents available Mango and Summer Spice 72 screens per case - $126.00 per case or $1.75 each Bacteria action deodorizes and cleans urinal and drain Eliminates need for special sprays Maximizes drainflow. • Natural enzyme holding tank deodorizer & waste digester. • Starts working immediately to control odors. • Rapidly break down solid waste & paper. • Environmentally friendly AND scented! WALEX DEODORANT DISCS, 14 SCENTS TO CHOOSE FROM! • Available in a variety fragrances! • Designed to last longer! • Slide zipper bag heat sealed for freshness. How to use: Place a disc in unit. Conceal it on the back side of the vent pipe, or place disc on the outside end of the toilet paper rod, behind the urinal, cabinet, or trash receptacle. • Exodor Super Concentrated Liquid Deodorizers • For warm to extreme climates with HEAVY traffic. • Utilizes WAVE 2 Technology Use Advantage for moderate conditions; Use Endure for EXTREME conditions. 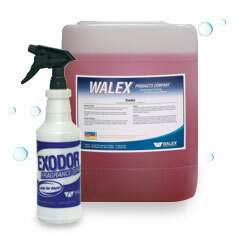 Exodor Super Concentrated Liquid Deodorizers • For warm to extreme climates with HEAVY traffic. • Utilizes WAVE 2 Technology Use Advantage for moderate conditions; Use Endure for EXTREME conditions. Use when additional odor control is needed. • Fragrance matches your holding tank deodorizer. • Versatile water-soluble formula. • Makes a great washdown too.